The period from month of November till third week of December observed above normal minimums and maximums for Telangana as well as for its capital city of Hyderabad. The reason for such temperatures were the warm and humid easterly and south easterly winds. Moreover, the winds i.e cold northerlies, which are responsible in bringing down the temperatures had mostly remained absent over the state. This was due to successive Western Disturbances, that obstructed the flow of northerly winds over the state. The results were above normal day and night temperatures. However, since past four to five days, continuous flow of cold winds from north direction is going on over the state which has resulted in bringing down the temperatures significantly. According to meteorologists, these are expected to drop down even more. Earlier minimums were settling around 15℃ to 17℃. Now, on account of cold northerly winds they have dropped to 5℃ to 7℃. In fact, Hyderabad is under grip of severe cold wave. Further, dropping minimums have also paved way for setting in cold wave conditions over many parts of the state. Like minimums, maximums too are gradually dropping and are below normal by 3℃ to 4℃. 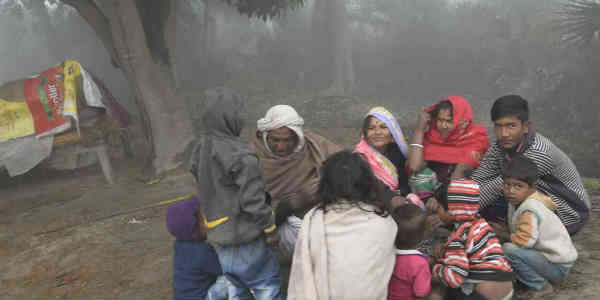 Such situation also means requirement of heavy woolens for the residents to battle cold conditions. In the next 24, further drop in temperatures along with severe cold wave conditions would continue over the state. Persisting clear sky will release earth’s energy thereby leading to a further fall in minimums during night hours. However, this situation might observe a slight change for some period of time. Soon, winds will change its directions and would come from north-easterlies to south-easterlies. However, being short lived these winds may not continue for long period. Drop in temperatures would continue altogether with cold wave conditions gripping the state.